I’ve loved the adorable Minions since they first appeared in Illumination, Despicable Me in 2013. Fast forward 4 years later the biggest animated hit continues the story of Gru, Lucy, their adorable daughters—Margo, Edith and Agnes—and the Minions in Despicable Me 3. My family and I recently were invited to attend a special screening and breakfast with Food Network Star Duff Goldman to screen the movie and discover a few Despicable Me 3 Party idea’s you can do at home. 1)Have a Minion Character to help entertain the guest. As you know, character rentals are always a hit. Joy loved Minion at our event. He greeted her as we entered the party, she took fun pictures with him and he mingled with the kids at the different activity stations. At each table, there were decoration supplies and premade cupcakes provided by Duff Goldman for guest to make their own Minion Cupcakes. 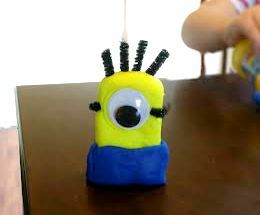 Although you may not be able to give decorations as elaborate, you can bake the cupcakes and provide guest with yellow icing, mini spatulas, Minions icing decoration or printable cupcake toppers to build their masterpiece. Yummy Spoonfuls was on hand providing samples of their yummy smoothies, and Kelloggs provided breakfast. When it comes to planning your next party, look over the menu to make sure you have a great selection for your little guest. Yummy Spoonfuls offers a wide variety of frozen organic baby & toddler products. If you have a party that includes little guest, their fruit pouches make a perfect treat, Joy love eating them. In addition to the DIY Cupcakes, there were also activity tables set up for kids to color different activity sheets and other items for the kids. Click on the Image below for you to download free Despicable Me 3 printable activity sheets. Whenever you are hosting a party, you are bound to have tons of sticky hands, spills and other mishaps to clean up. Stay in the theme of things by cleaning up using Bounty, Despicable Me 3 printed paper towels or napkins. 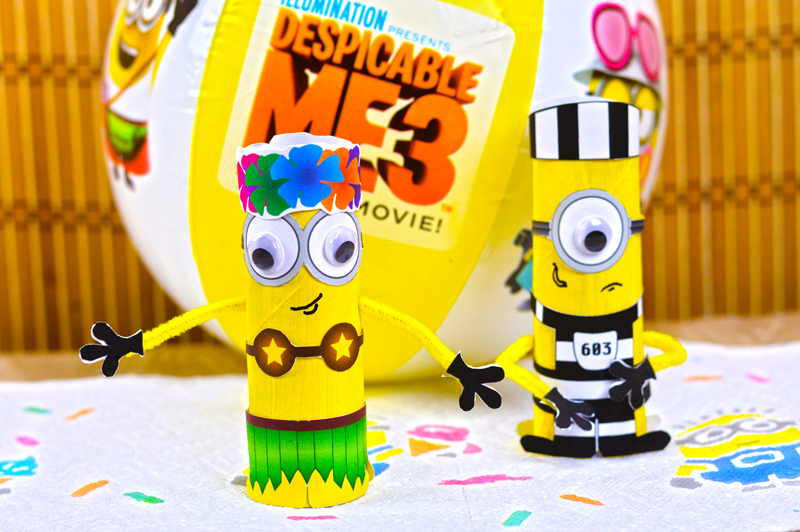 If you are planning a Despicable Me 3 party, I hope the idea above inspire you. Thank you Illumination for inviting to celebrate the launch on your latest hit. Joy, had a blast. 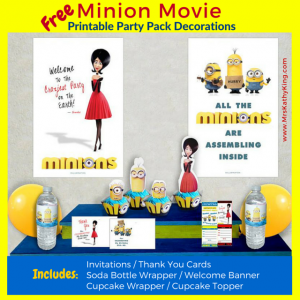 Free Minion Movie Printable Party Decoration Pack!